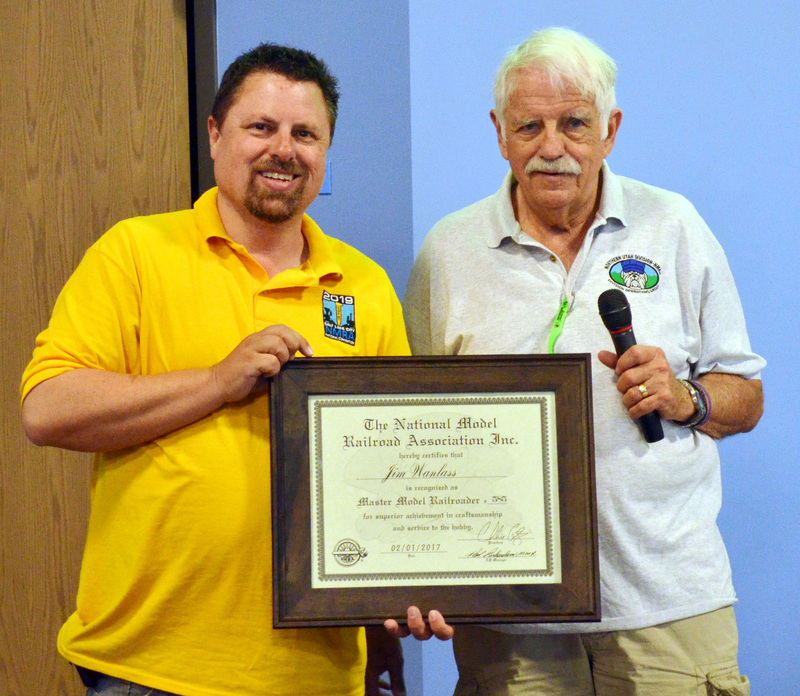 Jack Chase (right), the Northern Utah Division Superintendent, presented Jim Wanlass (left) with his official certificate designating him as Master Model Railroader #585 of the National Model Railroad Association. After waiting several months, Jim was very happy to receive it. Jim is also the Division AP Chairman and very happy to put his knowledge toward helping others achieve this award as he has. For more information visit our Division AP page.